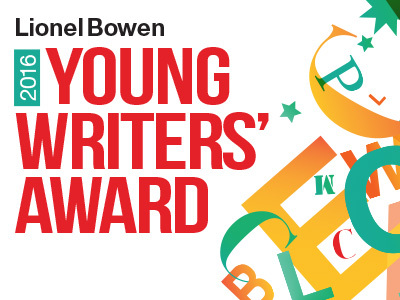 Lionel Bowen Young Writers’ Award is now open! Randwick City Library is looking to uncover writing talent in local school students, with entries to the Lionel Bowen Young Writers’ Awards now open. The Lionel Bowen Young Writers’ Award, named after the late Deputy Prime Minister, Lionel Bowen AM, is run biannually in conjunction with the University of NSW and Juvenilia Press. It is open to all young people currently enrolled in years 3 to 12 (or equivalent) and entries are in two categories, either a short story or a poem. There are four age brackets in each category: years 3 to 4, years 5 to 6, years 7 to 9 and years 10 to 12. Entries have the chance to win fantastic prizes including prepaid credit cards, vouchers and books supplied by Juvenilia Press. Award winners will have the added thrill of seeing their work in print, when Juvenilia Press publishes a book containing all the winning entries. The school that submits the most entries will also win a prize. This year’s theme is “conserving our environment”. Randwick City contains spectacular natural features – valuing and conserving our environment is a key priority for Randwick City Council. Council is proud to be a leader in environmental stewardship, and we are continually implementing innovative strategies and projects to protect and enhance our precious natural environment. Complete the online entry form and upload your submission (as a Microsoft Word document. Complete an entry form PDF, 636.24 KB and send it with your submission (as a Microsoft Word document) to: lionelbowenyoungwriters@randwick.nsw.gov.au. Be sure to include your name, school year and category in the subject line. Hand a completed entry form PDF, 636.24 KB and your printed submission to any Randwick City Library branch before close of business on Thursday 30 June 2016. Please note that submissions will not be returned. For more information or to enter, view the competition entry page. Entries close on 30 June 2016. Fill in the online entry form and attach your submission.